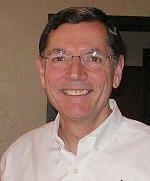 WASHINGTON, DC, January 31, 2011 (ENS) – Republican Senator John Barrasso of Wyoming today introduced legislation that would prevent the U.S. Environmental Protection Agency from regulating climate-warming greenhouse gases without specific Congressional authorization. The bill, (S. 228), the Defending America’s Affordable Energy and Jobs Act, sets up a fight in the Senate Environment and Public Works Committee and also in the Energy and Natural Resources Committee, both of which Barrasso is a member. “I will do whatever it takes to ensure that Washington doesn’t impose cap-and-trade policies in any form,” Barrasso said today. “Since President Nixon signed the Clean Air Act in 1970, Republicans and Democrats in Congress have worked together to protect American families from dangerous pollution. The Republican effort now to turn their back on the health of the American people will be resisted by those of us who believe it is our responsibility to make life better for the people we serve,” Boxer said. The EPA’s Clean Air Markets Programs has been using a market-based regulatory cap-and-trade program to limit sulfur dioxide and nitrogen oxide emissions from power plants since 1995. Ten Senate Republicans from Western states today announced their support for the Barrosso bill, which is also supported by Americans for Tax Reform, Americans for Prosperity, the Western Business Roundtable, the Competitive Enterprise Institute, Freedom Action and the National Cattlemen’s Beef Association. Supporters say the bill would defend affordable energy and jobs. The bill would give the biggest polluters, such as power plants that emit 2.4 billion tons of CO2 each year, a free pass for unlimited pollution, said Doniger. The U.S. EPA already regulates greenhouse gas emissions from cars and light trucks and is in the process of regulating greenhouse gases emitted by stationary sources such as power plants and refineries. Under the Barrasso bill, regulations for mobile sources such as cars and trucks would continue, but regulatory authority would be taken from the EPA and handed to the Department of Transportation. 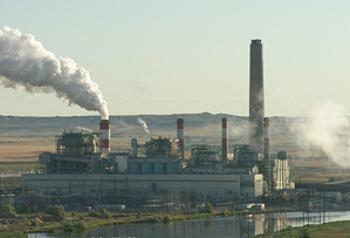 On Friday, the EPA announced five public listening sessions to help the agency update the Clean Air Act pollution standards to reduce greenhouse gas emissions from fossil fuel power plants and petroleum refineries. The feedback from these listening sessions will help EPA develop “smart, cost-effective and protective standards that reflect the latest and best information available,” the agency said in a statement Friday. As part of a legal settlement agreement announced December 23, 2010, the EPA will propose greenhouse gas standards based on existing technologies for power plants in July 2011 and for refineries in December 2011. The agency plans to issue final standards in May 2012 and November 2012, respectively. The agency will solicit additional public comment during the usual notice and comment period, including the opportunity for a formal public hearing, after the proposals have been published and before they go into effect. President Barack Obama and EPA Administrator Lisa Jackson have repeatedly expressed their preference for Congressional legislation over regulation to limit greenhouse gases. In 2009, the House of Representatives passed a cap-and-trade bill, but it died in the Senate and is not likely to be approved in this session, due to the position of many Republicans that greenhouse gases should not be limited. In 2007, the U.S. Supreme Court, in a case known as Massachusetts v. EPA, ruled that greenhouse gases are pollutants and that the EPA has a duty to regulate them. Following that ruling in December 2009, Administrator Jackson found that the current and projected concentrations of the six key well-mixed greenhouse gases: carbon dioxide (CO2), methane (CH4), nitrous oxide (N2O), hydrofluorocarbons (HFCs), perfluorocarbons (PFCs), and sulfur hexafluoride (SF6) – in the atmosphere threaten the public health and welfare of current and future generations. The administrator found that the combined emissions of these well-mixed greenhouse gases from new motor vehicles and new motor vehicle engines contribute to the greenhouse gas pollution which threatens public health and welfare. This so-called “endangerment finding” did not of itself impose any requirements on industry or other entities, but it was a prerequisite to finalizing the EPA’s greenhouse gas emission standards for light-duty vehicles. The Barrosso bill would repeal the endangerment finding, overriding the Supreme Court’s decision in Massachusetts v. EPA. The bill would bar the President and federal agencies from using the science, published by the National Academy of Sciences and others, on which the endangerment finding is based for policy, guidance, or regulations.